Stratagem #1-Kill with a Borrowed Knife: Indirect attacks on your adversaries can catch them off guard. Stratagem #19-Watch the Fire on the Other Shore: Companies that temper power with patience will be more competitive in the long run. 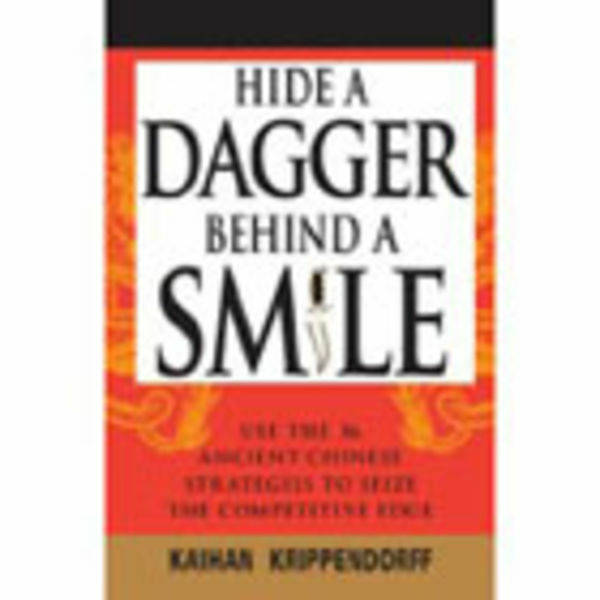 Stratagem #33-Hide a Dagger Behind a Smile: Threatened adversaries resist-trusting ones do not. With Hide a Dagger Behind a Smile, you can take on your competitors and win-one battle at a time. Kaihan Krippendorff is a former consultant with McKinsey & Company and author of the forthcoming The Way of Innovation. He is president of the Strategy Learning Center, a firm that helps companies worldwide-including Microsoft, Ryder, Pfizer, and DHL-outthink their competition. He holds an MBA from Columbia Business School. He has been mentioned in or written for publications such as Inc. magazine, Harvard Business Review, and Harvard Management Update and has appeared on many radio programs including NPR's Marketplace.